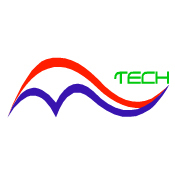 HOT DEALS UAE is a part of TECHNO PLUS FZC based in UAE. It features the best daily deals on the activities you want to do, to eat, to see, to pamper yourself, to entertain, buy etc across the UAE. We are here for the weekend loving (but not limited to weekends only) UAE people by offering them amazing prices on their favorite services, products and getaway destinations in and around UAE. Mind you, we are not offering you regular Deals rather we are offering you mind blowing Deals in the town. So join our mantra for better online shopping experience.